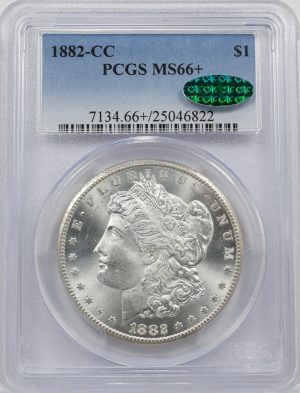 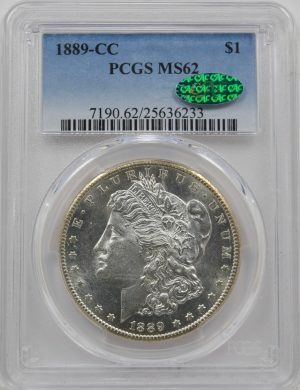 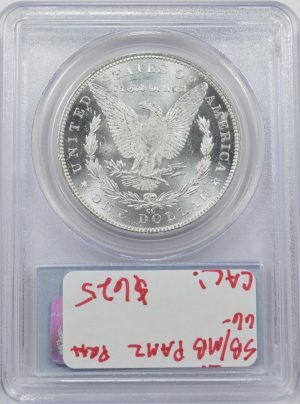 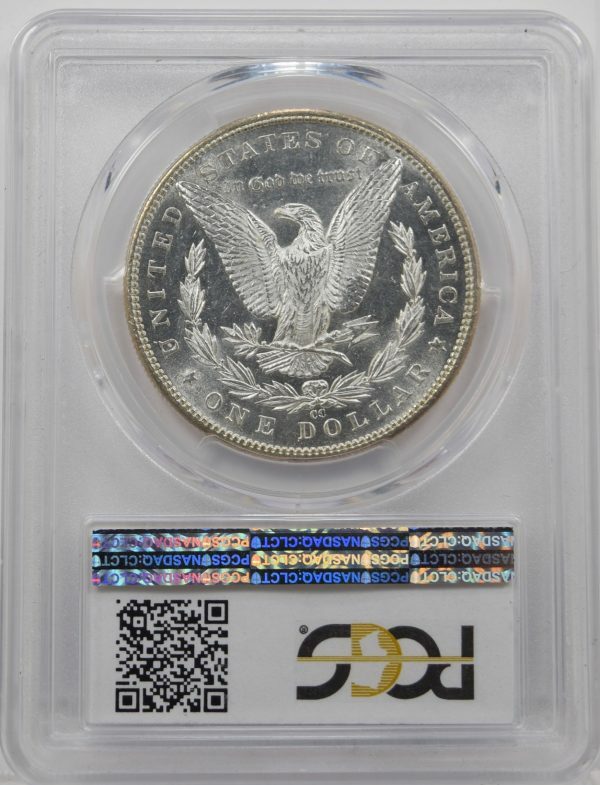 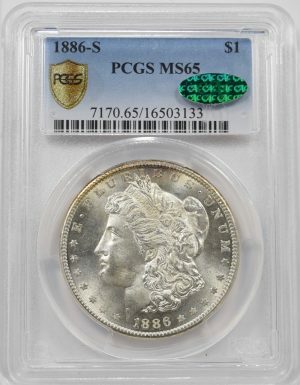 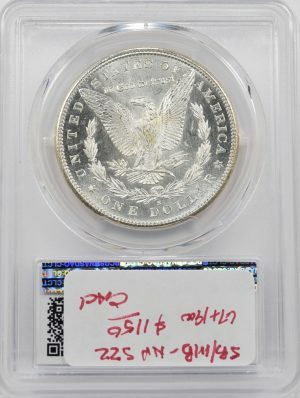 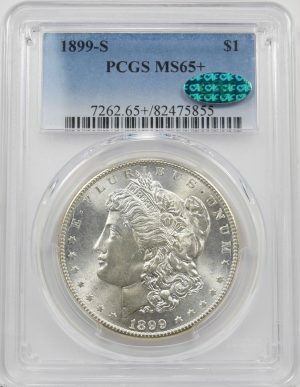 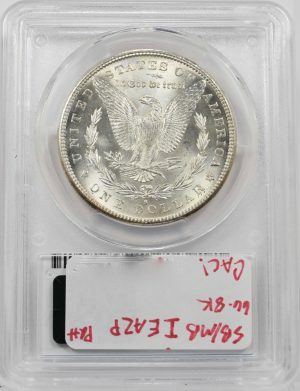 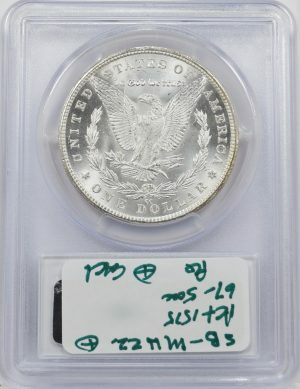 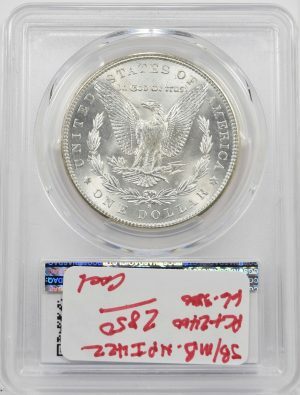 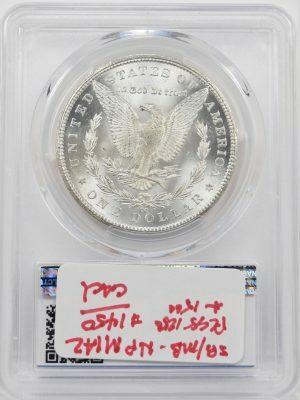 This 1889-CC PCGS MS62 CAC Morgan Dollar is absolutely stunning. 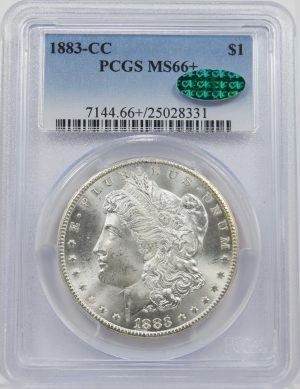 I’ve owned this coin 3 times now and I love it more and more every time I see it. 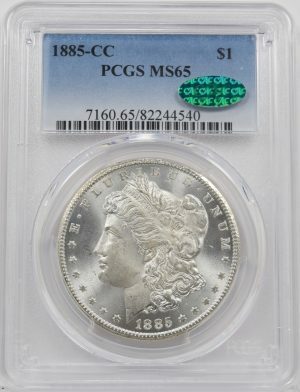 It is the nicest MS62 I have ever seen and it is better than most MS63’s I’ve seen. 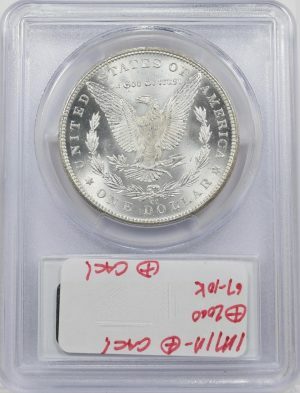 This coin is blast white with semi PL surfaces. 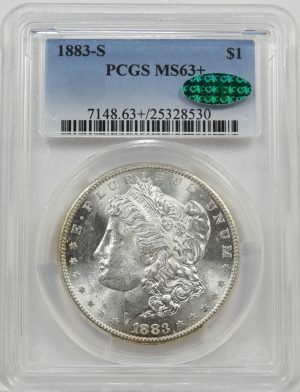 The cheek is ultra smooth and the hairline shows superb detail for the grade. 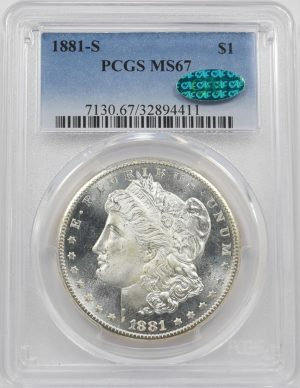 The cartwheel luster spins rapidly and is sparkling with mint frost. The reverse details also has frosted surfaces that glow in the light, along with smooth clean fields. 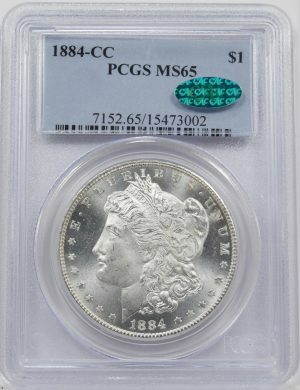 I love this 1889-CC. 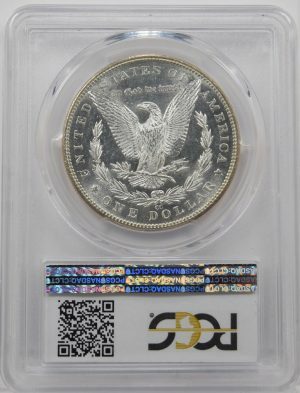 For the grade, it is ultra smooth with no major hits or cuts and it has spectacular eye appeal. 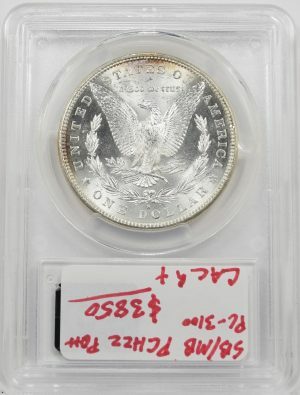 CAC Approved.